This page gives you an overview of our courses and flagship book. Dive in and see if one of these calls your name. Looking for individual workshops? That’s here. With no one to trust and in an unhealthy marriage, Rachel Archelaus found truth and guidance in the practice of Intuitive Art. Intuitive Art expands your intuition to show you the Why and How of big decisions. You can even get maps of how to get to a goal or desire. It’s a language and that means that you don’t get fluent by using it once. You develop skill and nuance by practicing on your own, with others and by learning new techniques. How cool would it be to not only ask your Higher Self for answers but also your Spirit Guides, Angels, Loved Ones, and more? What about knowing what your symbols mean, how to use different drawing types for relationship or past/present/future questions. Knowing these advanced methods enlarge your language skills so you get clearer answers in a quicker way. Connect yourself and your clients to their Higher Selves with this visual healing modality. The Certified Intuitive Artist program offers you a complete professional training and the opportunity to step into your Purpose at the same time. The Archelaus Method of Intuitive Art is a versatile and powerful healing modality that can be paired with your existing career or used on its own. It requires no previous art or intuitive experience, either. 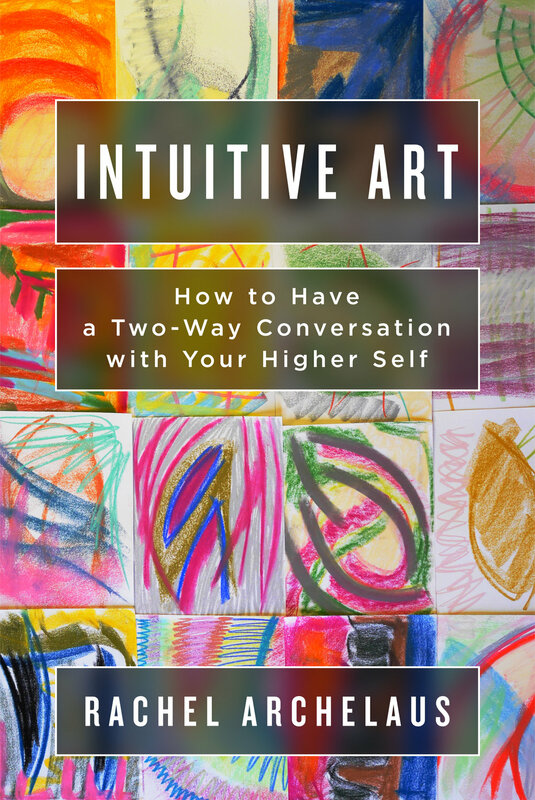 • Master the skill of Intuitive Art – Learn how to get wisdom from your Higher Self in three easy steps. You’ll be able to gain insight on how to best help your client and teach the technique to your client so they become more empowered. You’ll never be far from objective clarity. • Combine Intuitive Art with your existing skills to create a unique service (or refine the one you already have) – Add distinction to your work and stand out in the busy coaching marketplace by creating your own unique service. Specialization means higher fees and deeper impact. The program walks you through the process of creating your one of a kind service and helps you experiment to refine it. • Effectively work with clients and students to reach a desired outcome – Build your coaching skills so you create even bigger breakthroughs. You’ll learn and practice active listening, presence, and more. Your clients will get better results in less time and will become raving fans. • Market yourself so you can create a sustainable, lucrative practice – Wanting to help people is a noble cause, but if you can’t support yourself doing it everyone loses. We teach you how to market your services in an aligned way. There are copy and paste resources that you can use as is or customize to fit your offer. The Certified Intuitive Artist program is open for enrollment and combines live and prerecorded class to fit any schedule. You don’t need to leave your home to participate because all learning and engagement is online.